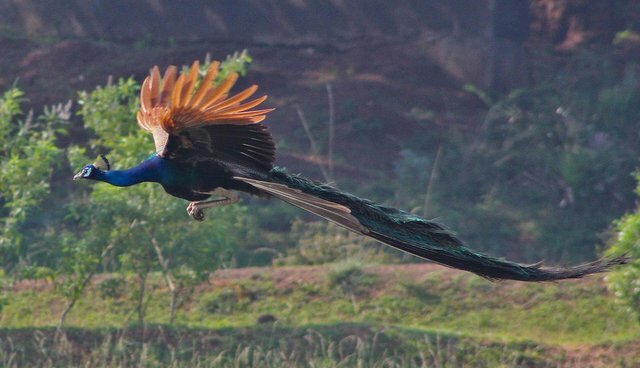 No other animal demonstrates flashy mating skills quite like the peacock. Shimmying their iridescent tail feathers - which can fan out to 5 feet long - peacocks don't skimp on the flair as they try to woo mates. 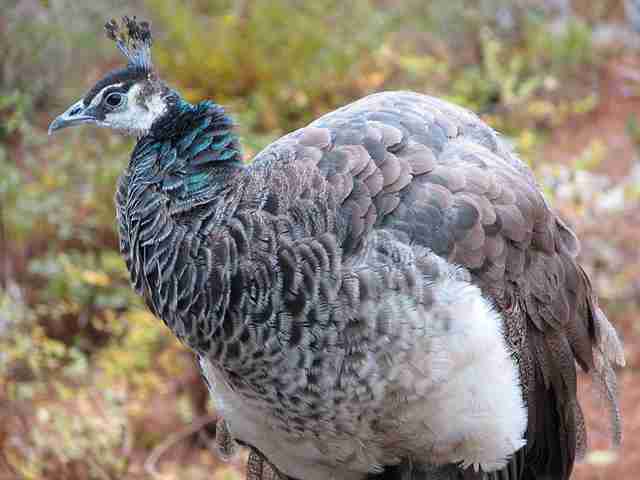 And it turns out beauty doesn't come at a great sacrifice for these showy birds. The long tail has a negligible effect on the amount of energy the birds use to take off from the ground. "These birds do not seem to be making quite the sacrifices to look attractive we thought they were," Askew says in a statement. "Intuitively you expect that the train would detrimentally affect flight performance and so not finding a detectable effect was a bit surprising." 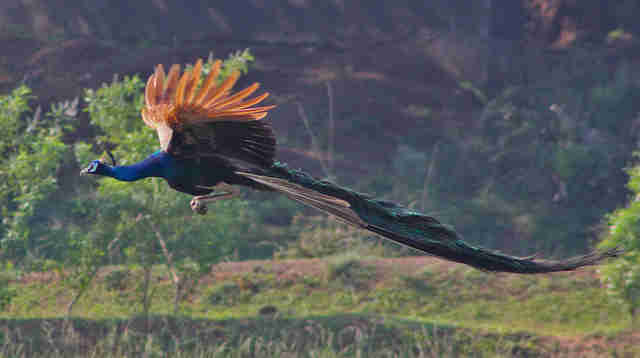 It remains to be seen if tail feathers affect a peacock's in-flight stability or running speeds, Askew points out. 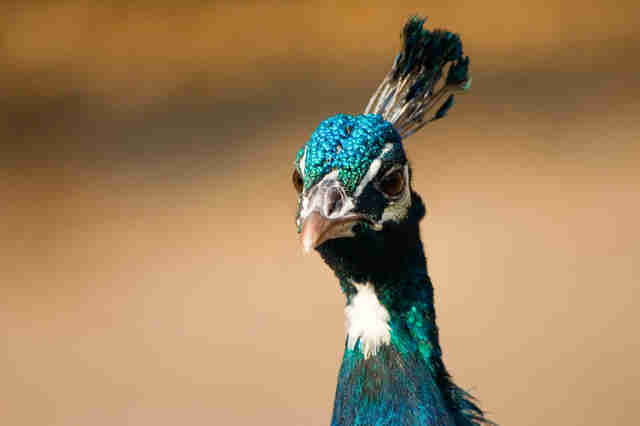 And sporting such impressive feathers - a single quill can weigh 10 ounces - doesn't come completely for free: A peacock uses about 3 percent of his caloric intake each day to grow his train.